Meningeal Compression could be caused by an encroachment or twisting on the three-membrane protective covering of the spinal cord and brain, called the meninges. This intrusion might be from a tumor or other malformation, but we find that it is most often caused by a change in the cervical spine, which can reduce or distort the space through which the spinal cord and meninges must pass. Any tugging on the meninges can have devastating effects on this critical and sensitive nerve action, which in turn can produce a galaxy of undesirable symptoms. We believe this compression creates myriad symptoms, one of which is fibromyalgia. Others are reflex sympathetic dystrophy(RSD), brachia neuralgia, trigeminal neuralgia, irritable bowel syndrome, restless leg syndrome, unexplained diffuse pain, depression, chronic fatigue, anxiety and many more. 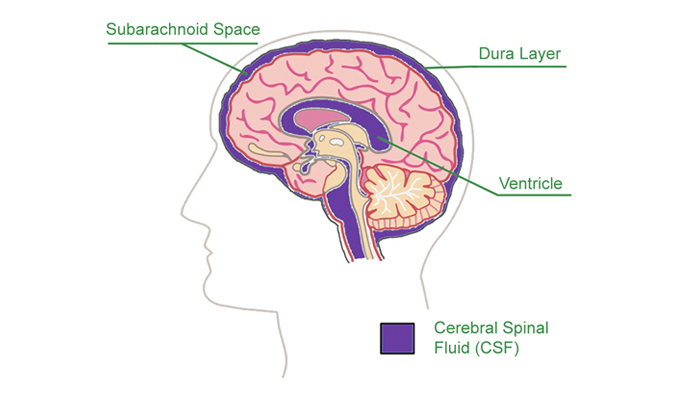 The meninges are the three membranes that form a strong bag-like envelope around the brain and spinal cord, holds the cerebrospinal fluid, which brings nutrition and healing to the brain and spinal cord. It is attached to all of the nerves that pass through it. Nerve roots are extensions of the spinal cord that turn and exit between each vertebra, sending and receiving impulses that control virtually the entire body, even the smallest parts. 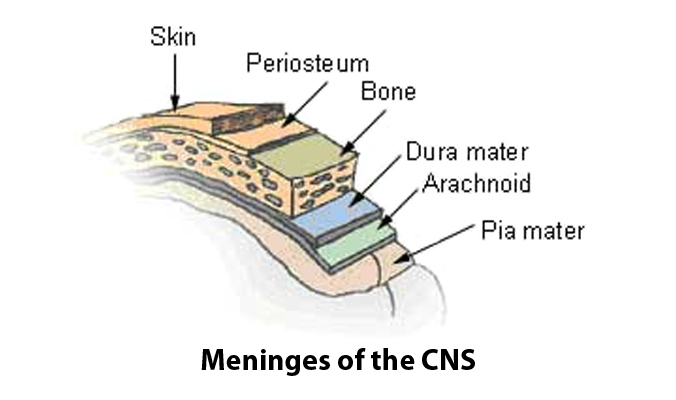 Since these nerves pass through the meninges, naturally it follows that every bodily system can be affected by the pulling of the meninges. These nerve roots also extend fibers to the brain, which transmit impulses that are then received as pain, burning, itching, hot, cold, tingling, or numbness, as well as other parasthesias (that is, odd feelings). The pulling and irritation of these nerve roots cause nerve fibers to fire maverick impulses to the brain. The brain interprets these fired impulses as pain, itching, burning, coldness, numbness, or other odd feelings. The body, in response to stimuli from irritation, will often twitch or spasm, thus prompting the restless leg syndrome, muscle tightness, and spasms often experienced by fibromyalgia patients. Typically irritation of the nerve roots, when it hits levels that are diagnosed as fibromyalgia, bombards the sufferer's brain, overwhelming the autonomic and sensory pathways, keeping them in pain, awake at night, fatigued, and depressed. Insomnia: Insomnia is particularly troubling in almost all fibromyalgia patients. It could become worse in relation to the degree of pressure on the menenges. The anxiety, the pain, the overactive central nervous system, and adrenaline overproduction make sleep almost impossible. Fatigue: Fatigue naturally goes along with insomnia, but it is a level of fatigue that goes well beyond what would be expected with ordinary insomnia, and it has a much deeper impact. Emotional instability, depression, irritability, and nervousness: These symptoms are often the most difficult to deal with, since they affect the very core of the being and destroy joy and enthusiasm. Life becomes miserable for the sufferer as well as for those around him. Mild to severe body pain: This can vary from headaches; pressure at the base of the skull; neck pain; arm pains or numbness; torso pain; hip, thigh, and leg pain; or numbness and facial pains. Often this will be worse in the morning and evening. Headaches: Usually there is pressure at the base of the skull, and there is sometimes associated pain in the occipital (back side of the skull) and upper cervical spine (neck). 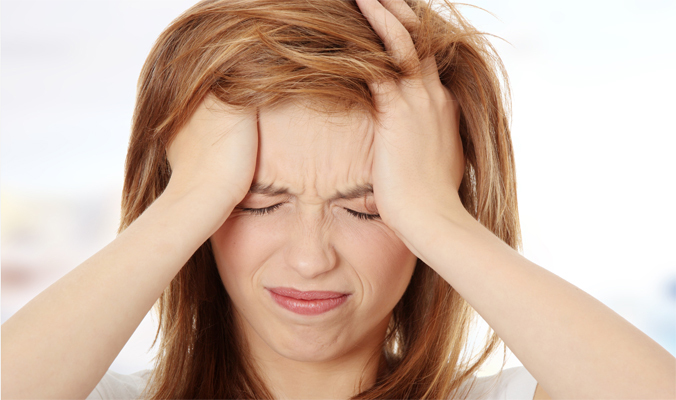 Many patients have severe, migraine-type headaches. FMS headaches may vary in location and intensity. We have seen almost every possible combination-unilateral, bilateral, facial, occipital, mild, severe, -sometimes accompanied with nausea and vomiting. Irritable Bowel Syndrome: This is present in most sufferers, and may be caused by the sympathetic nervous system firing constantly, preventing the parasympathetic nervous system from controlling digestion. Its constant firing may increase adrenaline production and bring with it a feeling of forthcoming destruction. The parasympathetic system works well when we are relaxed, and controls things like food digestion and normal, relaxed bodily functions. Rashes: Some people will develop rashes on their legs, arms, face, back, or other areas. Such rashes are common and almost always go away with the treatment. Trigeminal neuralgia: Observations suggest that the tugging on the trigeminal nerve as it exits through the menenges can trigger this symptom. Trigeminal neuralgia is characterized by facial pain, often lancing-usually severe, though it can be mild. The patients we have seen with this condition usually respond well to treatment. Calcium deposits under the skin: These are common, usually under pea size, but we have seen them much larger. They can be very painful and even cause bleeding with movement in rare cases. Communication problems: These are common. Symptoms of this sort generally suggest a severe case. Patients we see who are this ill are unable to answer questions or keep on the subject. This lack of focus usually abates in the first two weeks of treatment. 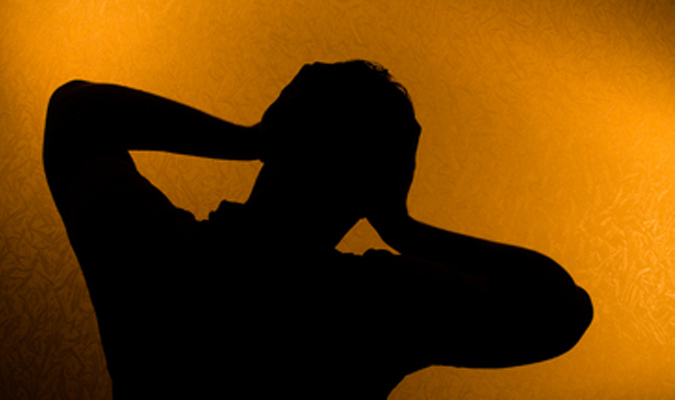 Anxiety: Anxiety is often one of the most severe problems. Many patients don't even realize they have anxiety until it is pointed out. It can be brought on by the sympathetic nervous system firing continuously. It will push one, even though they may be totally exhausted, and keep them going somewhat; but it is this anxiety that also prevents sleep and rest. Panic attacks - feelings of a need to protect oneself or to run away - are common. When anxiety disappears, our patients become very tired and restorative sleep follows. This is when we see leaps in their improvement. All of the glands of the body can be affected, i.e. : the pituitary, the thyroid, the adrenals, the reproductive glands, the pancreas, etc. These glands malfunctioning can create a host of physical problems as well as mental and emotional problems. This is why balancing hormones give a person a boost. RSD or CRPS (Complex Regional Pain Syndrome): This is a complex and, until-now, misunderstoodproblem associated with an accident or a surgery. After the event the body part involved will continue to display pain and often circulatory problems. The pain can be excruciating.